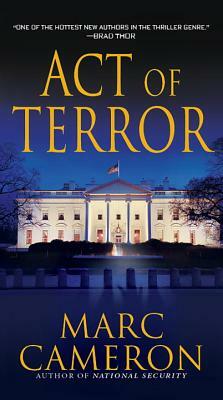 From coast to coast, our nation is witnessing a new wave of terror. Suicide bombers incite blind panic and paralyzing fear. A flight attendant tries to crash an airliner. A police officer opens fire on fans in a stadium. And at CIA headquarters, a Deputy Director goes on a murderous rampage. The perpetrators appear to be American--but they are covert agents in a vast network of terror, selected and trained for one purpose only: the complete annihilation of America. Special Agent Jericho Quinn has seen the warning signs. As a classified "instrument" of the CIA reporting directly to the President, Quinn knows that these random acts of violence pose a clear and present danger. But Quinn may not be able to stop it. The search for terrorists has escalated into an all-out witch hunt. And somehow, Quinn's name is on the list. . .
"One of the hottest new authors in the thriller genre." --Brad Thor. MARC CAMERON, a native of Texas, has spent over twenty-five years in law enforcement, the last twenty with the federal government. His assignments have taken him from rural Alaska to Manhattan, Canada to Mexico, and points in between. Having earned a second-degree black belt in jujitsu, he often teaches defensive tactics to other law enforcement agencies and civilian groups. He is the author of the novel National Security. Currently he lives in the Pacific Northwest with his wife and motorcycle.